On November 30th 1954, Sir Winston Churchill celebrated his 80th birthday in Westminster Hall, shown above. At that time he was Prime Minister, and he continued to serve in that position until he resigned on April 5th 1955. He made his last political speech on March 1st 1955, advising: “Never flinch, never weary, never despair.” Certainly, Churchill himself did not seem to weary. In May 1955, he was once again elected to serve as Member of Parliament for Woodford, and the following year, he began publishing his opus A History of the English-Speaking Peoples (four volumes, 1956-1958). Sir Winston Churchill won his final election in October 1959, and he represented Woodford until he retired in 1964. At that time, the House of Commons presented him with a Vote of Thanks for more than 60 years service as a Member of Parliament. October 1964 marked the first general election that he did not contest since first running for Parliament in 1895. The year 2015 commemorates the 50th anniversary of the death of Sir Winston Churchill. On January 24th 1965, he died at the age of 90 in his home on Hyde Park Gate, London. 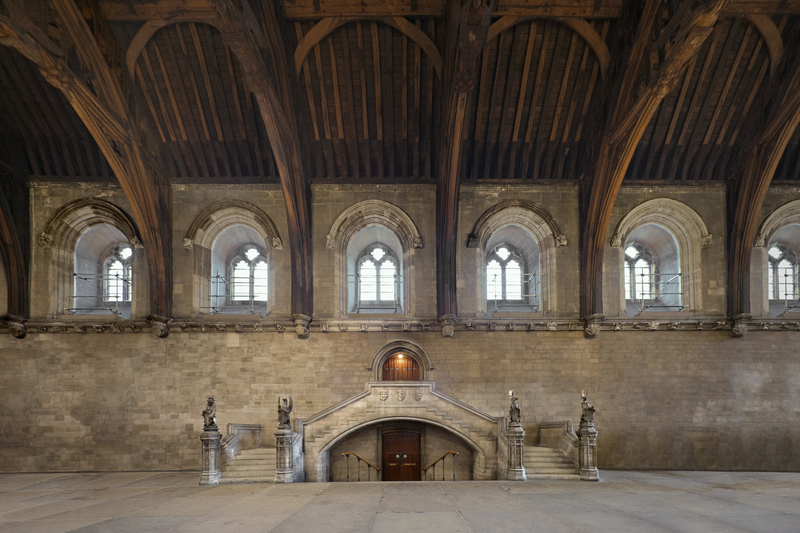 He was granted a State Funeral and his coffin lay in state in Westminster Hall, in the Houses of Parliament, on the exact spot from which the above photograph was taken. During a three-day period, more than 300,000 peopled filed past the catafalque to pay their respects to Winston Leonard Spencer Churchill.